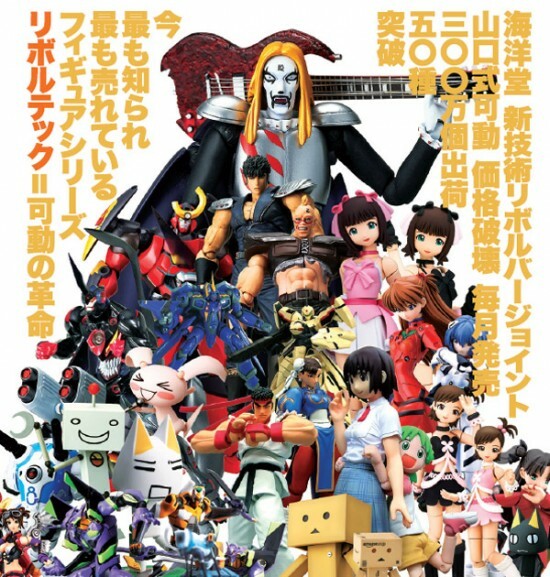 Revoltech (リボルテック) is an action figure line from the Japan toy company Kaiyodo. The main selling point of this line is the Revoltech’s ‘REVOLVER’ joint, which all of the figures utilize. This enables the revoltech figures higher degree of articulation, allowing for many dynamic and super articulated poses comparing to normal ball-joint action figures. Below is a list of the still-on-going Revoltech series from Kaiyodo. We will try to update our stock list for these items soon listed here. Do you still have 022 AV-X0 Type-0 Patlabor 03.15.2007?? do u still have 001 Getter 1 New Getter Robo?? Do you still have a Revoltech series 52 Lazengann from the show Tengen Toppa Gurren Lagann? Do you have Revoltech Helldiver 40?